The Hungarian government has approved several changes to its tax system, including a new flat-rate model for personal income taxes, reduced corporate income taxes, and incentives for families to have extra children. On November 23rd the Hungarian Government passed into law a series of heavily debated changes to the tax system, significantly revising the country’s tax regulations. It is hoped that the alterations will boost national tax revenues, while spurning job creation and economic health. 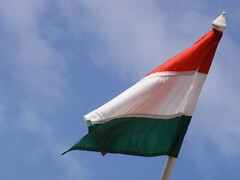 As of January 1st 2011 the current Hungarian tax bracket system for personal incomes will be replaced with a flat-rate tax model. Currently, tax payers are levied at tax rates of 17 percent to 32 percent, based on their incomes. After the change is implemented, all taxpayers will be subjected to a 16 percent personal income tax regardless of income level. The capital-gains tax rate will also be changed to 16 percent. To compensate any potential loss in government tax revenues, the national employee pension contribution rate will be raised from 9.5 percent to 10 percent. The Government has also voted to instate a gradual decrease to corporate income taxes. From January 1st 2011 all businesses with annual revenues below HUF 500 million (approx. USD 2.43 million) will only be levied at 10 percent, compared to the current rate of 19 percent. The lowered tax rate will be applicable to all businesses in 2013. The tax reform package also raises the rate applied to the previously announced “crisis tax” on banking institutions. In June it was revealed that banks would face a tax of 0.5 percent on their total revenues, however the rate will now be increased to 0.53 percent. In an effort to support an increase to the national population level the new tax package introduces strong tax incentives for families to have more children. Couples with two children or less will be able to receive an annual tax rebate of HUF 750 000 (approx. USD 3 600) per child. Families with three or more children will receive a rebate of HUF 2.47 million (approx. USD 11 979) per child. According to local tax analysts, once the changes are instated, it will be possible for large low income families to pay no incomes tax at all.